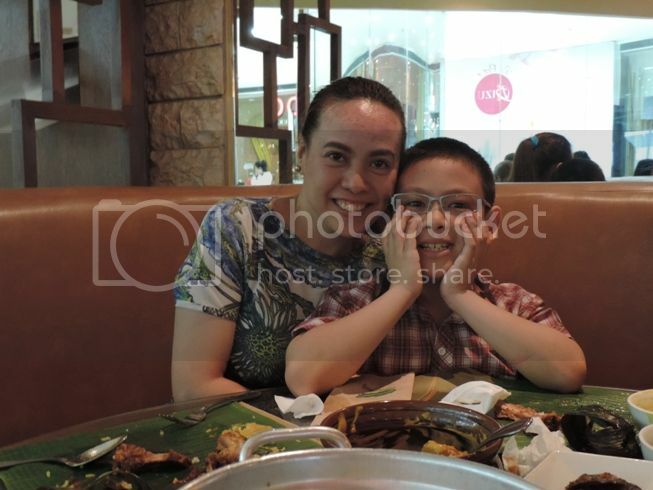 Justin turned 8 years old last July 7. Because his birthday fell on a school day, we didn’t go out to have birthday dinner somewhere special. Instead, we had a simple birthday celebration at home. I just cooked spaghetti, while his Dad bought ice cream and cake. We didn’t really need a lot of food because there’s just the three of us at home. 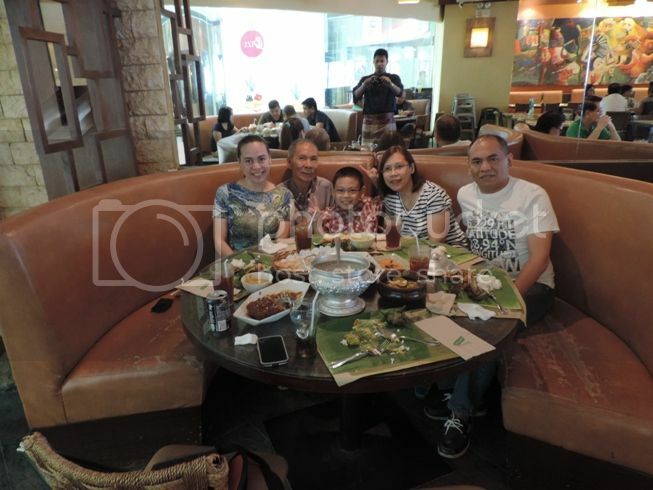 We finally got to celebrate with other members of the family (Justin’s lolo and Tita Meme) last Sunday at Banana Leaf at The Podium. And before going home, Justin went with his Dad to Toys R’ Us to get his birthday present. 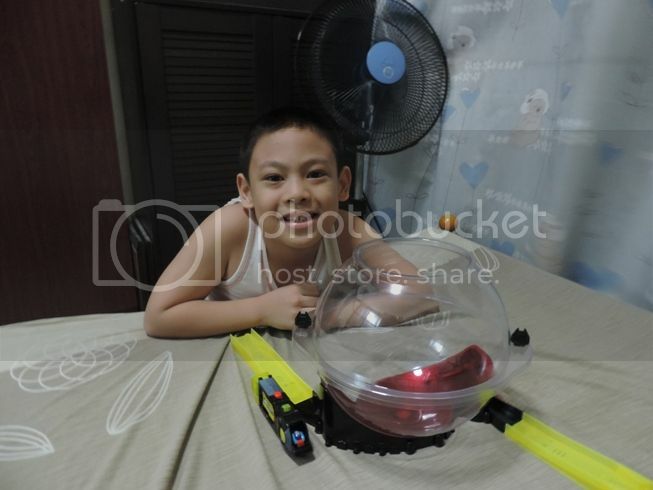 He got Micro Chargers, electronic Micro racing cars with a stunt rack and a charger. Every day after he arrives home from school, he plays with his Micro Chargers before he studies his lessons. Obviously, it’s his favorite toy at the moment. And that’s how Justin’s 8th birthday celebration went. This entry was posted in 8th Birthday, Birthday Blowout, Birthday Boy, Birthday Gift, Justin. Bookmark the permalink. So simple birthday celebration but a great one. Why? 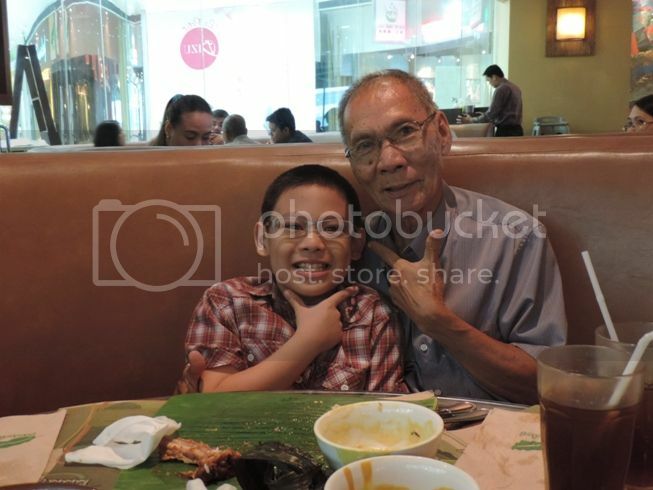 celebrating one’s natal day with lolo around is an event to treasure. Mark that sis. Magkabirthday pala sila ng panganay ko Ate, only that Rylie turned 9 years old hehehe. Belated happy birthday Justin! Happy birthday to your precious little boy. He sure looks like he’s enjoying his Micro Charger toy. Happy birthday little kiddo! Your gift is amazing! 🙂 I’m glad to see a happy birthday boy smile from ear to ear because he’s happy he got what he liked for his birthday. 🙂 Good for you Justin. God Bless! Happy Birthday Justin! What’s important is to celebrate with loved ones whether it’s a simple celebration or a grand one. Belated happy Birthday to your handsome little boy. Praying for good health and more blessings ahead. being with the family is enough to celebrate special occasion like this. Your lucky to have them same as they are lucky to have you.